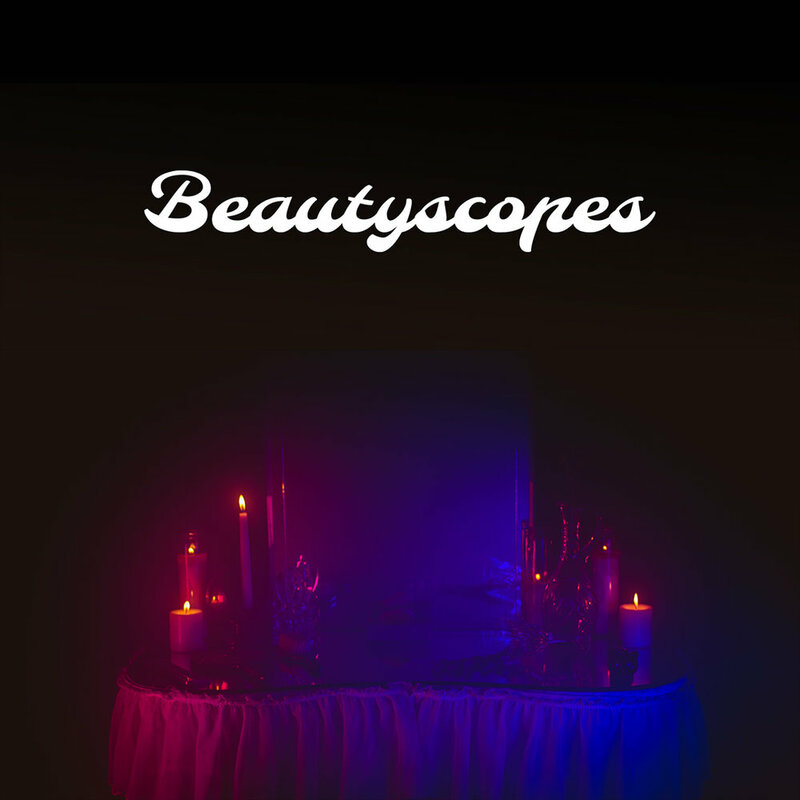 Welcome to another month of Beautyscopes! Read on below to see yours! Cancer, this month is about #choices. If you heeded the advice from last month, not giving into fear, you should feel yourself reaping rewards of putting yourself “out there” for opportunities. Success can very well be on its way, however, because you tend to be protective of your successes, remember that being protective doesn’t mean being selfish. Ask yourself what you’re really trying to accomplish. Is it A goal or is it YOUR goal? The more you talk to people and share your true intentions, the more you may realize that YOUR goal is A goal that you could be accomplishing as a group or as a community. Finding kindred spirits could help you divide and conquer these goals. Also, be cautious of who you share your true intentions with, as the discomfort of opening up to a good person and the discomfort felt from those with negative intentions can sometimes feel like the same thing. You’re a good judge of character and need to trust yourself with these choices. Your angels are giving you a heads up that you need to be asking them for extra help with using your discernment. 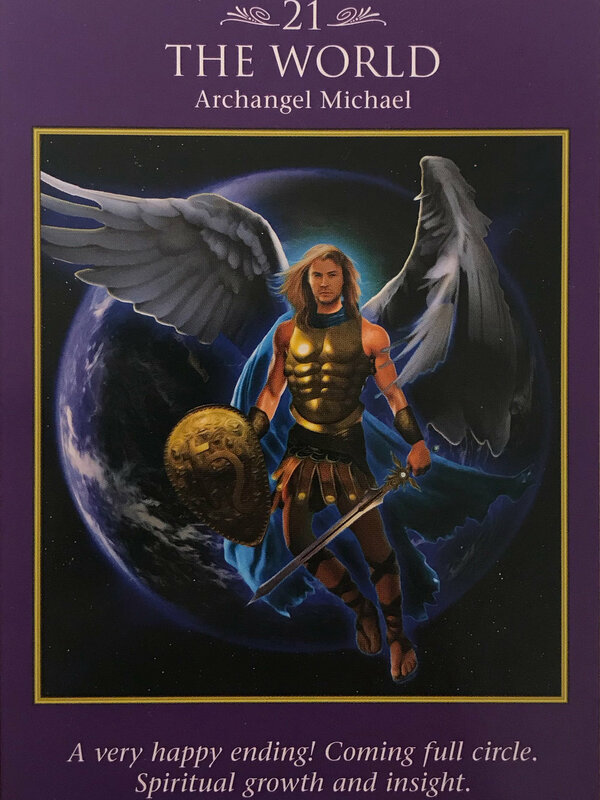 For protection from negativity with help from Archangel Michael. Katie suggests Moon Juice Brain Dust. I’m sure you know that old saying, “beauty starts from within,” and we all roll our eyes because inner beauty isn’t what’s concealing our tired eyes or filling in our sparse brows, BUT it’s true and we all know it. Having a clear, calm mind should be the first step in our beauty routines to give us the confidence and self assurance we need to face the world ahead of us. Lucky for you, Cancer, this edible supplement will help with promoting the peace of mind you need to carefully calculate, execute, and accomplish those goals of yours! Last month you definitely had your moments, Leo, and that’s okay! Focusing on the direction you want to go may have you wishing there was something bigger for you, but don’t worry, there is! Last month, Spirit called for you to release your attachments to your previous accomplishments and embrace the person you are today, and will be in the future, because of those accomplishments. Clear out your old attachments in order to forge new ones! In the name of new opportunities, it may also be a good time to apply for that new job or to try relocating. Relocation doesn’t have to be a whole new city or state, it can be as simple as finding a new favorite coffee shop! Change your scenery and you won’t feel as stuck and attached to your past. Truly focus on reaching out and engaging in new avenues in order to find your bigger purpose! For staying in touch with your intuition about the future and trusting your spiritually guided path. Katie suggests Tatcha's The Pearl Eye Illuminating Treatment. Leo, this intensely hydrating tinted eye treatment has present and future you covered-literally. The subtle peachy tint combined with real pearl pigments in all three shades of The Pearl Eye Illuminating Treatment offset any darkened or blue tones under the eye and work to correct the appearance of uneven tones over time. Virgo! Have you renewed your life purpose!? These past two months the “New Beginnings” card showed up for you, and now the Tarot has presented you with the Magician, the card of “Successful Beginnings.” You’ve been asked to go back to the drawing board and figure out who you really are and what impact you want to make in this life. I’m sure you’ve had your ups and downs while finding this connection, but fear not, your time has come to put these plans into action! Do not underestimate yourself, the plans you feel most attached to are the ones you need to pursue. The road ahead is safe and waiting for you. Move without fear or doubt and you will SHINE! 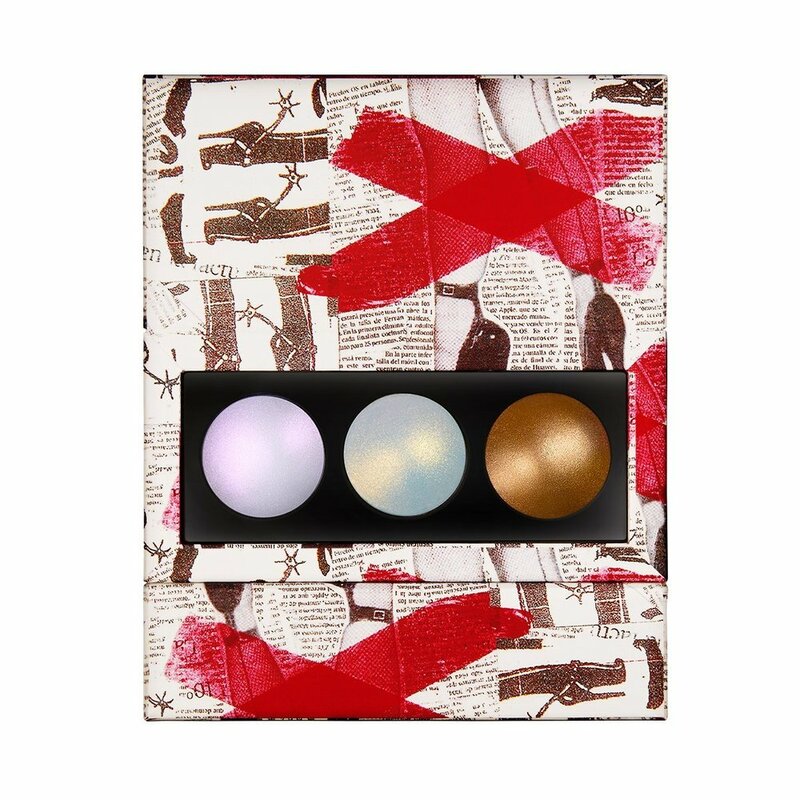 Katie suggests the Sublime Skin Highlighting Trio from Pat McGrath Labs. Wait did someone say “SHINE?”… Because Pat McGrath just released her coveted highlighters in a trio set, and it sounds like something you might need for these sunny days ahead, Virgo! There’s a shade in this set for every skin tone, but the multidimensional pigments are truly universally flattering and easily applied wherever you’re looking to add a little extra shine. Libra, when you learn to control your thoughts and emotions, rather than letting other people’s judgments control them, you open yourself up to spiritual growth. June had you busy with this self-work, and July is the time to understand and appreciate the rewards of all that hard work. Be careful when you have “the world in your hands” because negative people will see that and react in a jealous way. Do not engage with these people, it is not your job to change them, you are to only focus on shining your own light. In the same way, positive people will also be attracted to someone “with the world in their hands” so make sure you make yourself available to engage with people you admire and feel good around. With that, there could be some “right place at the right time” opportunities this month—Keep your eyes and ears open! For grounding and staying present in day to day situations and having control over your thoughts and emotions. 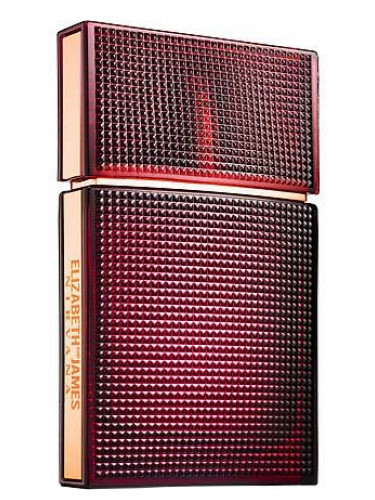 Katie suggests the Elizabeth and James Nirvana Rose perfume. When I think of staying present, I often turn to scents. Being able to roll on or spritz a pleasant smelling perfume or essential oil has immediate effects on the body; sometimes scents serve as a nostalgic reminder, and sometimes they can snap us back into our present reality. This Elizabeth and James perfume combines the naturally grounding scent of vetiver with the calming scent of rose to keep you focused on all the blooming opportunities around you, Libra. For enhancing your analytical mind and power of will. Katie suggests the Crayola Face Crayon in Dandelion. Often times during our Beautyscopes, I offer an answer to the call of creativity in the form of a bright liner or shadow, andddddd I’m going to do it again! Only this time, the color product comes from the world’s favorite maker of crayons, markers, and all things artistic from our childhood-CRAYOLA! If there’s been any brand that has universally and consistently inspired and supported creativity throughout the lives of so many, it’s Crayola, so their latest collaboration isn’t surprising. This bright face crayon looks like the classic Crayola crayons we know and love, but now we can draw on our face with it. It’s suitable for use on the eyes, lips, and cheeks, so wear it your way! You may be a little more “in your feels” this month, Sagittarius. Some recent road bumps have left you a bit staggered and confused on what your life is and who your friends are, but don’t let your emotions spill over into your everyday tasks. Just because someone disagreed with you or confronted you doesn’t mean everything you do is wrong. Don’t be afraid of conflict moving forward. You’ve been avoiding some situations with certain people but you need to spearhead these conflicts ASAP. Some social situations are coming where it may be best for you to bury the hatchet and mend some relationships. You are more prone to turn to drugs/alcohol/daydreaming, and escapism in general, but don’t try to “escape” this month as it will only lead to worse problems—Speak up! Katie suggests the Sunday Riley Blue Moon Tranquility Cleansing Balm. While you may be facing up to all that life’s throwing your way, my dear Sag, you may find the “escape” you’re looking for in your own beauty ritual. Add this rich cleansing balm to your nighttime skincare routine to soothe the skin and spirit. I suggest utilizing it in a double cleanse (especially if acne prone), using it to melt away and lift makeup and/or dirt and oil from the day before rinsing away impurities with a foaming cleanser. Take your time massaging the balm into your skin, you could use a little extra TLSC (tender loving self care) this month. It may have been a long time coming, but you are finally receiving recognition and attention in the ways you’ve been longing for. The universe is quite literally screaming at you to leave your past behind you and make the changes you know in your heart of hearts you need to make. Change is inevitable if you want growth in your life. If you don’t change now, you may start to feel depressed and lost. Do not veer off the path you’ve been waiting to be on simply out of fear of failure. Embrace this transformation and choose yourself, no matter how hard that may be. This month has others admiring you, and since you work hard for everything you have, don’t question this acknowledgment and trust your instincts. For self-love and positive flow in relationships with others. Katie suggests the Mara Beauty Universal Face Oil. Soak up those accolades and all of that admiration, Capricorn, and let your skin soak up this luxurious facial oil. You’re bound to be more focused than ever on your goals, but don’t neglect your #skingoals in the process! Super hydrating plant oils, algae, and plankton combine to give you the best skin of your life while you’re out there living your best life. This is a time of childlike expression for you, Aquarius. You are being called to be curious and carefree in order to explore what the world has to offer you. This is very much the beginning of a new chapter for you—so stay open. In the opposing way, be mindful of “childish” people in your life who may not fully understand your openness that they perceive as naivety. You are the humanitarian of the zodiac and have an opportunity to show your heart by volunteering or helping a cause near and dear to you. Whether this cause is with a friend, an organization, or simply small acts of everyday kindness, it will bring a great sense of fulfillment to you. Keep an open mind, and live with your heart on your sleeve. Most importantly, don’t feel embarrassed with newness—we all start somewhere! Katie suggests Lipstick Queen's Frog Prince Lipstick. Remember the color changing toys of your childhood? Sleepy baby dolls awakened with ice water? Mood rings? This lipstick harkens back to those days with it’s “magical” color changing properties! Don’t let the deep green hue scare you, Aquarius! Once applied, the formula transforms to the perfect rosy shade that's perfectly suited for YOU. Pisces, this month is all about communication. You may be in a situation where you’re not getting along with someone because of talking past one another. Now is a good time to clear the air and set the record straight. Speaking of air, make sure you are grounding yourself this month because projects and relationships are going to come like a whirlwind. Don’t try and juggle too many things, you can prioritize and set some things down for later. You may receive some resistance to this, but do what’s best for your peace of mind. Also, don’t feel insecure or unworthy if a role of greater responsibility is thrust upon on you. With careful planning, you’ll do just fine. There is an opportunity for many positive life lessons this month if you choose to confidently go in the direction that this energy is pulling you in. Katie suggests Stila's Stay All Day Lip Liner in Pinot Noir. In life you’ll find that the only thing or person you have control over is yourself, as I’m sure you are realizing this month, Pisces. Apply some of that self control to your lip line with the classic Stila Stay All Day formula. No budges or smudges from this liner, once applied it really stands the test. Use it all over the lips for a fail proof matte look that let’s others know you mean business this month! Clear the air, Aries. You’re known for your strength and standing your ground, so make sure you are clearing out any negative energies this month. Don’t fight for the sake of fighting, rather have strength with purpose. Some bumps in the road may be coming, but there is certainly a silver lining. A deeper review and understanding of the past can help you find this silver lining and lead you to putting a new idea into action. Don’t worry if this new idea doesn’t pan out at first because you are being watched over! Just be honest this month, with yourself and others, no matter how hard, and you’ll see some progress with this new idea. 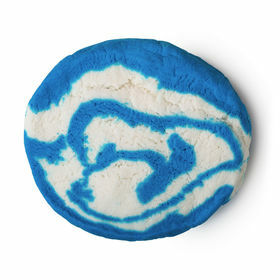 Katie suggests Lush's Blue Skies and Fluffy White Clouds Bubble Bar. The scents of this cheery looking bubble bar are described as “relaxing” and “uplifting,” which sounds like exactly what you’ll need this month, Aries! Take a break from the stress and give yourself the chance to clear out any negative energies you may be holding within yourself with a relaxing bubble bath. Temperatures too high for a typical steaming, hot bath? Take a cold one! They can be just as enlightening. As ABBA once said “take a chance, take a chance, take a chance, take a chance...” Taurus, the stars have aligned to give you that extra UMPH you need to be successful in whatever you’ve been longing for. You’ve been waiting on change to happen, but change doesn’t happen without you actively wanting it and actively making some big decisions. The energy that had you making plans in previous months is now begging you to take some chances. You need a sign to tell you you’re ready? Here it is. YOU’RE READY! Some of your best traits are your charm and optimism, so actively use those to propel you forward. Embrace all that life is waiting to offer you! To enhance your sense of pleasure and self nurture. Katie suggests the amika Soulfood Nourishing Mask. You’re taking chances and making changes, but are you doing a weekly deep conditioner to restore moisture to your hair during these hot, summer days? Ok it’s not a given, but maybe consider it! Amika’s Nourishing Mask is full of vitamins c, a, and e and omega-7 to strengthen hair as it hydrates, and you surely need strong, hydrated hair to chase and embrace the road ahead, right? Why not? You’ll look great, you’ll feel great, life has never been better, Taurus! Are you feeling the love around you, Gemini? You may be experiencing a shift in your work life or relationships that has you feeling extra light and happy this month. If you’re in love, cherish this love and enjoy it for everything that it is. If you haven’t had luck finding love, now is a great time to pursue this. You deserve to be happy and the angels are guiding you along this path for a reason! Bonds and hobbies that are formed now will certainly have ups and downs, but the best part about life is the journey through both the positive and negative aspects of loving something/someone. Embrace these bonds and connections that you have, or are about to make, and you’ll find that things will start flowing in the way that you want them to. Make sure you’re cautious of “energy suckers” who try to attach themselves to this positive, loving energy in a selfish way. Your happiness does not belong to them, so make sure you are also mindfully protecting yourself throughout this month. Katie suggests the Herbivore PRISM Exfoliating Glow Potion. 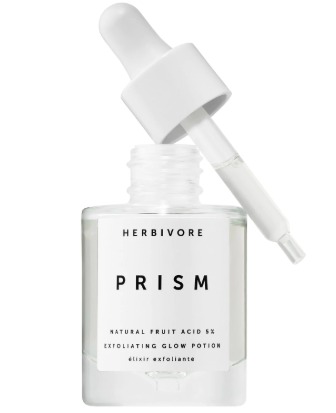 Release those negative (skin) bonds and make room for the positive ones with Herbivore’s Prism! A gentle combination of naturally occurring lactic and glycolic acids remove dead skin and clean pores to help your skin absorb more of the good stuff - vitamin C, rose and aloe water! Skin appears brighter and smoother, just like the month of July, Gemini! See you next month, beauty, mind and spirit lovers! If you have further questions about energy/vibes/spirit, please feel free to contact David by email at davidmattobrien@gmail.com.